After yesterday's stellar quarterly report from Apple, it's not a huge surprise that its stock is surging in value this morning. But are we really ready for Apple to be the most valuable company in the world? Apple has toyed with the title of being the most valuable company before, but when you're up against the likes of Exxon Mobil – a company that produces a commodity that nearly everyone in the world needs – it can be tough to hold on to that position when your products can be viewed by many as a luxury. However, Apple has done it and the only question is how long they can hold on to that honor. Buoyed by its awesome holiday quarter, Apple shares skyrocketed to $449.27 this morning, a new all time high for the company that put its market cap value at $419 billion. Meanwhile, Exxon Mobil shares dipped 0.7% to $86.53, bringing its market cap down to $415 billion. The stock market is always a volatile place, and the fortunes of a company can turn on a hairpin at any moment, so the odds are that the oil company will indeed take back its crown in the short term, but what about down the road? Multiple analysts this morning have been scrambling to raise their target values for AAPL shares to well north of $600, with several eyeing $650 (and even one saying $666, but you almost have to wonder if that isn't a joke). Even the most conservative of the bunch is targeting $550, and a stock jumping another $100 is not usually an easy feat. If (or when) Apple hits these values, it'll be a pretty good lock that the company will take the crown from Exxon Mobil with a very comfortable lead that would leave the oil company well behind it. No one at TechnoBuffalo is a stock expert, so we are certainly not saying how probable any of this is, but for at least this one day, Apple is pretty much king of the financial world. 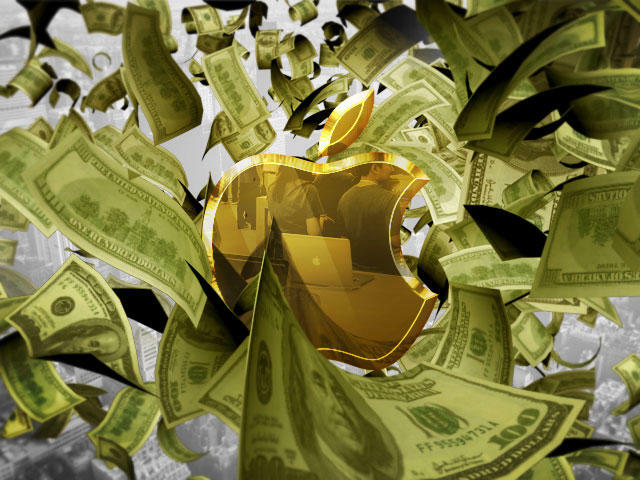 What do you think about the idea of Apple being the most valuable company in the world?